The geopolitical changes that have taken place at the beginning of the 21st century within the nations of the Islamic world, and which would appear to be the culmination of many spontaneous factors, are, in fact, a manifestation of a very complex qualitative shift in the global balance of power. For some political analysts, all of this can be attributed to merely the shortsighted games of politicians from the most powerful nation in the world, the United States, a legacy of their apparent intellectual shortcomings and strategic myopia. Of course the Americans manage to have a hand in almost everything that occurs in the world today. And to their credit, they are adept at defending their own national interests. But in order to identify the true origins of the current disturbances, one must look atmore than just the events of recent years, taking a wider view of the historical perspective. The United States is fully aware that in the Middle East, the entire twentieth century marched under the banner of the Islamic intellectual revival. But that was brought home to the Americans all the more acutely during the Islamic revolution in Iran in 1979, and later – at the dawn of the new millennium, during the upheavals caused by the tragic events of September 11, 2001. After centuries of stagnation, Islamic intellectuals of the late 19th – early 20th centuries, including Islamic reformers, educators, and fierce opponents of colonialism, such as Jamal ad-Din al-Afghani, Abd al-Rahman al-Kawakibi, Syed Ahmad Khan, Muhammad Abduh, and Rashid Rida, as well as representatives of the Tatar Revival Movement (Jadidism), signaled the beginning of this intellectual renaissance. They set out to try to make sense of the role Muslims would play in the new world that was to come, and, above all, to come to grips with the social essence of Islamic doctrine and designate the place of the state in the development and modernization of contemporary society. Among the ideas of these reformers, the common thread was the notion that Islam should be at the forefront of human development, and that the Muslim world was obliged to ensure the well-being of not only its own faithful subjects, but also those of other faiths, a provision that had been the hallmark of the Caliphate since its golden age. 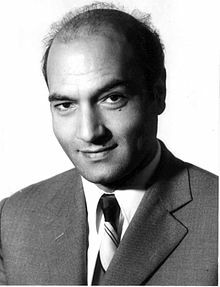 In the mid-20th century these ideas were most clearly manifested in the teachings of Ali Shariati, who made a significant contribution to the development of the social doctrine of Islam. The strict system of Shiite hierarchy helped spread Shariati’s views among Iranian clerics. The fruits of these teachings were the Islamic revolution of 1979, under the direction of its charismatic leader, Ayatollah Khomeini. In the past,the primary focus was on the backwardness of that semi-colonial state, but now the Islamic Republic of Iran is over thirty years old and has become a leading regional power that has made great intellectual strides. (For example, by 2013 Iran had risen to 17th place in the global academic rankings, and the pace of its scientific advances has outstripped almost all major countries, including China. The state plans to increase public spending on research from the current 1% of GDP to 4% in 2029, and by 2019 the Iranians intend to send a man into space aboard their own rocket.) All this demonstrates the real potential of true political Islam. The example of Iran, as well as the prospect that the residents of the Middle East might suddenly decide to channel their combined wealth and potential to serve the goals of their own development, has put the Americans more than a bit on edge. The aging and weakening West has sensed a rival in the resurgent Islamic East. In the real world, Shiite Islam has demonstrated a powerful capacity to mobilize, plus the ability to defend its own interests (although in fact, Shiites make up only 15% of the 1.6 billion Muslims worldwide). If Sunni Islam were likewise able to show evidence of such success, American analysts predict that the consequences could pose a serious challenge to the United States. It is no coincidence that many US politicians have been open about the fact that the more the Islamic nations are rocked by internal wars and strife, the easier it will be for the US to ensure its hegemony. Thus, the primary goal of the United States at this stage is to split the Islamic and Arab world as much as possible and to take advantage of any means necessary to promote the emergence of new hotbeds of ongoing tension, including the use of provocation in regard to weapons of mass destruction. This leads to the desire to create docile regimes, regardless of whether they are religious or secular, republics or monarchies. The Americans’ reasoning is simple: if the Middle East is left undisturbed even for a decade, a dangerous and virtually uncontrollable global player would emerge that could choose how to avail itself of its available energy resources, in addition to potentially withdrawing all of its assets from foreign banks and repositories, leading to unprecedented disruptions and crises for the West’s economy. To prevent this, regional interstate and intrastate conflicts are regularly triggered, and time bombs are systematically planted under the region. The initiators of these actions do not shy away from any method of inciting inter-ethnic, inter-national, or inter-religious crises, or direct military interventions. All in all, Americans are very well aware of what they are doing and why. An analysis of reports in the Western press from recent weeks shows the prevalence of the idea of the futility of the political aspirations of Sunni Islam, as evidenced by the failed attempt of the Muslim Brotherhood to govern the state. There is a pervasive notion that Sunnis and Shiites will always exist in a state of eternal conflict, a viewpoint that could only have one realistic outcome – a period of growing tension culminating in a phase of mutual annihilation. From time to time, there seems to be an accidental eruption in the global media of the voices of those who feel that the Shiites are not only not Muslims, but the outright heretics, amoral sectarians and consummate fanatics who do not deserve to live. A deliberate campaign is being waged to marginalize Islam, spreading assertions that Islam is not capable of developing its own positive agenda and that Islam always preaches violence, blood, vandalism, and the destruction of traditional society. This propaganda is being quite skillfully disseminated at both the level of academic research as well as through the mass media. The current geopolitical reality is such that the decline of Western civilization forces its elite to seek ever-newer sources of “rejuvenation.” The United States is not as concerned with rescuing its allies amidst the unfolding global economic and civilizational crisis, as with ensuring its own survival and preserving its hegemony, even at Europe’s expense. Hence its desire to draw Europeans into the conflicts in the Middle East, while at the same time safeguarding its own homeland security. Despite statements by officials in Washington, the actions of the US suggest that it is essentially contributing to the growth of Islamic radicalism, which it uses as a tried-and-true mechanism to undermine the position of any potential competitor. They are literally contriving to generate hotbeds of extremist, terrorist activities in Syria, Iraq, Libya, and many other countries, and the flames of all kinds of animosity are being kindled. They are calculating that the internal struggle will become extremely drawn out, exhausting the region and bleeding it dry, which will utterly debilitate any potential rivals or competitors. It seems that Washington believes that the military and economic power of the US, as well as its geographical position,will enable it to keep itself above the fray, thus retaining its pivotal role in international politics. But in fact, dreaming up all these schemes is not without its dangers, because, as the episode with the Tsarnaev brothers and the trial of Maj.Nidal Hasan has shown, such a policy, despite the careful calculations that would seem to be behind it, will eventually backfire onto the US itself. In addition, “challengers to the regime” can emerge within the system, and we are already witnessing the first seeds of that phenomenon in the actions of Pfc.Bradley Manning and the former NSA employee Edward Snowden. Many Islamic medieval norms are not only in clear conflict with twenty-first-century realities, but give stir up tensions within society. And the problem here is not found in religion, but in the lack of a creative, constructive approach to understanding how the teachings of the Prophet should be viewed from a modern perspective. 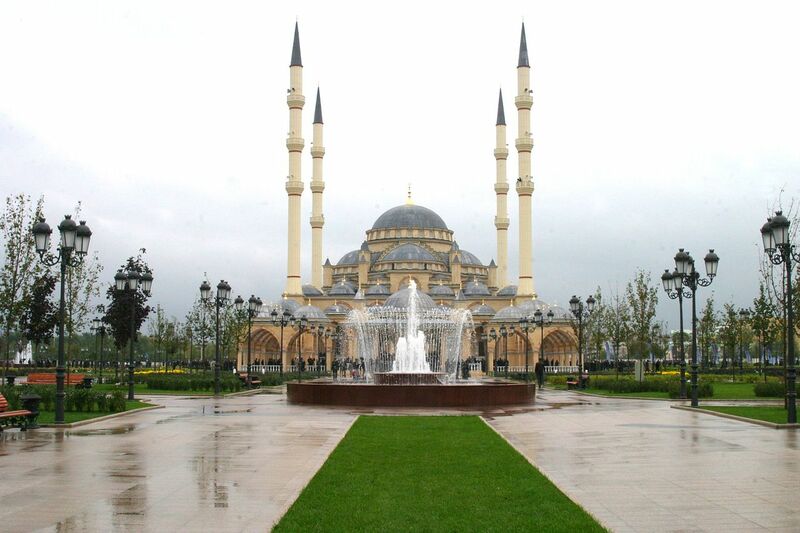 One of the largest mosques of the world, ‘Heart of Chechnya’, was opened in Grozny (Chechnya, Russia) in 2008. These are the circumstances under which Russia is increasingly engaging with the Islamic world, discrediting the West’s projects (which are detrimental for all mankind) to manipulate countries and peoples, information and public opinion. Unlike the West, Russia is not only uninterested in splintering or reshaping the Islamic world, it demonstrates a consistent, firm commitment to upholding that region’s unity and integrity. A very interesting and enlightening article. If I may venture further, the great power of the USA will crumble from within (as did Rome) and the nail that will close the coffin will be Israel as both pursue to bring down Islam (a way of life – not a religion) which they both incorrectly perceive as a threat to their existense, predominantly so Israel. The Islamic revolution started from Iran in 1979 and it has been gathering strength.